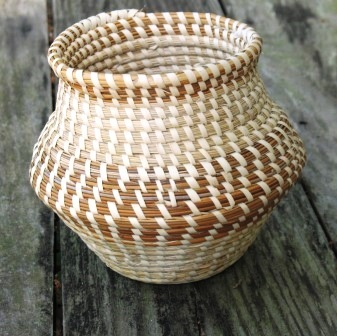 CROSSHANDLE SWEETGRASS BASKET W/ PEDESTAL BASE This basket has a double handle and a pesdestal base. 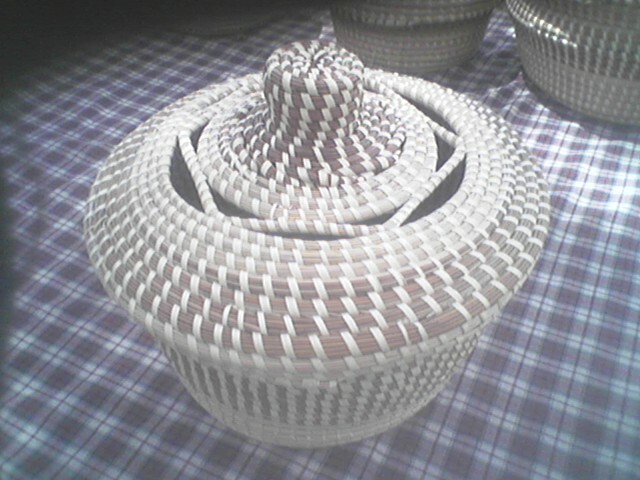 CROSSHANDLE SWEETGRASS BASKET WITH OPEN SIDES This sweetgrass basket has a zig zag woven into the sides. 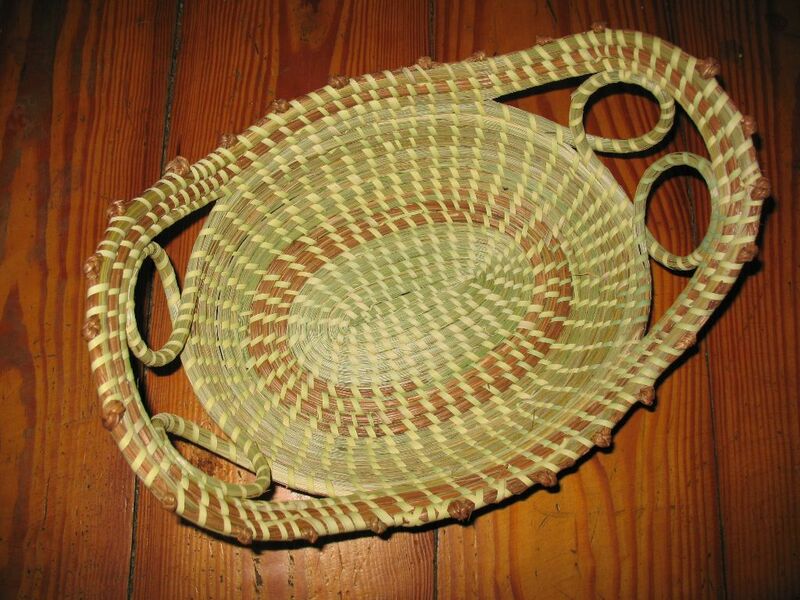 CROSSHANDLE SWEETGRASS BASKET WITH ROSES This darling sweetgrass basket is adorned with roses.